Who's looking for an upcoming session? Maybe some family photos, kiddos, even trash the dress! you've been thinking of something special, let me know and we'll create some lovely photos and have fun! 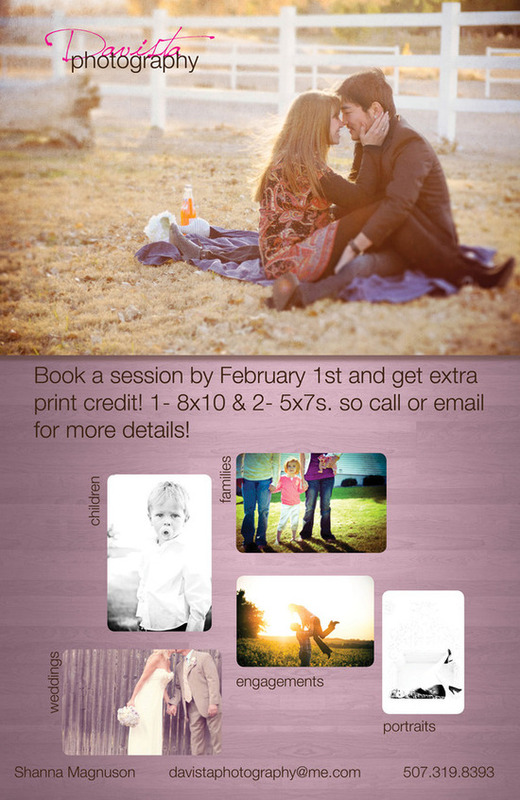 Book your session before February 1st for this spring, summer or fall and get extra print credit! email or facebook message me if you're interested! Pssst... reviews on the blog coming soon! just gathering it all up! if you want to submit a review with me, check out under the links tab how to do so!